Please feel free to contact an officer if you have a idea for a demonstration. We are always open to your input. Remember, this is your club and your growth as a wood turner is Important to the club. Please check back here before every meeting to see if any last minute changes have been made to the Meeting location and or time. 9 AM - 12 PM and 1PM - 3 PM. 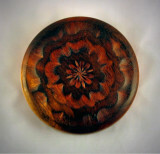 The Arizona Woodturners Association is proud to announce that we have secured John Magill for our April meeting. John will be demonstrating Ornamental turning from 9AM - 12PM and will have an afternoon session dedicated to the construction of an Ornamental lathe based on plans that he developed. Both the morning and Afternoon sessions are open to all club members, the afternoon session however does require a $25 ticket, which will be available beforehand. 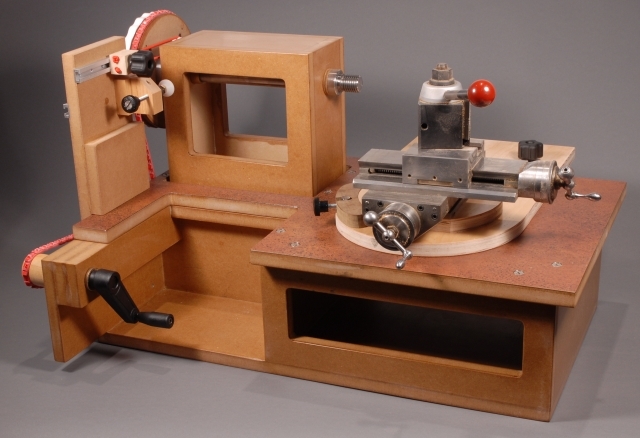 Ornamental Lathe, built from plans developed by John Magill.